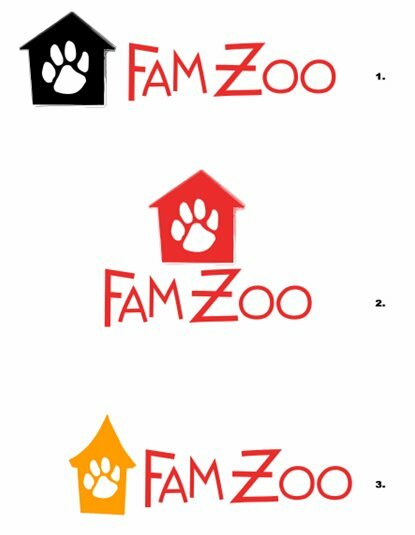 Color: I think the white paw on the colored house background coupled with the black text works best. The other combos (see bottom of post) feel too distracting or dark to me. Paw print orientation: I like having the paw print slightly angled - it feels more "wild" and accentuates the contrast with the orderliness of the straight up-and-down, rectilinear house. 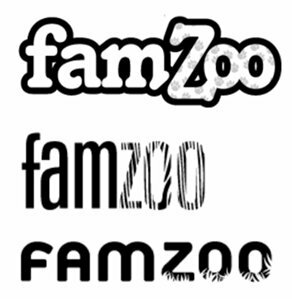 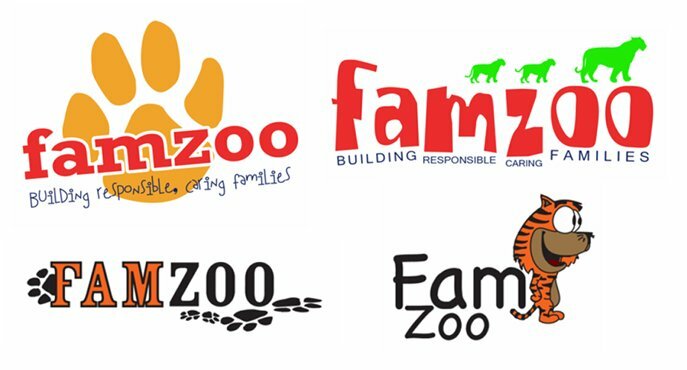 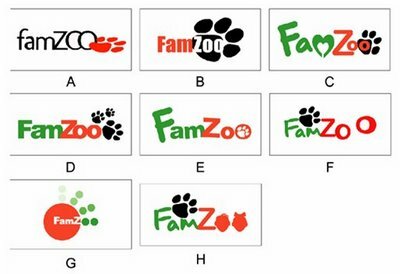 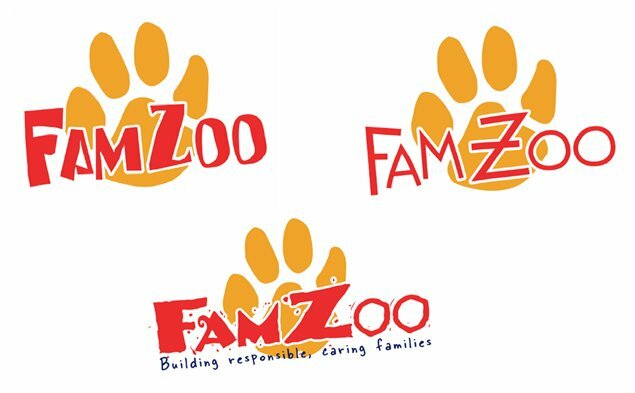 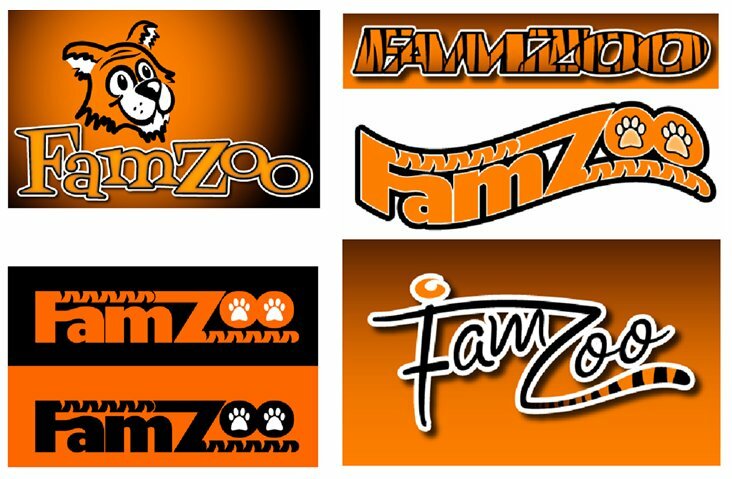 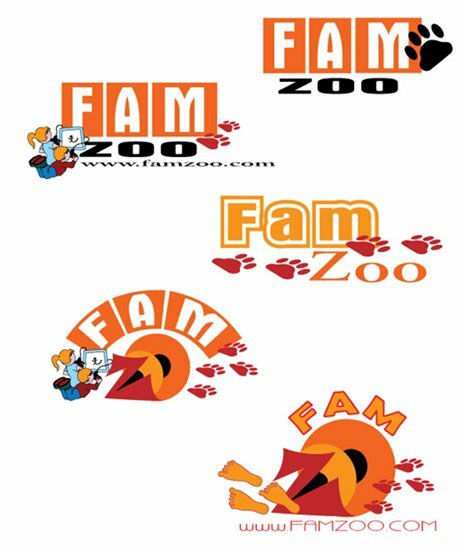 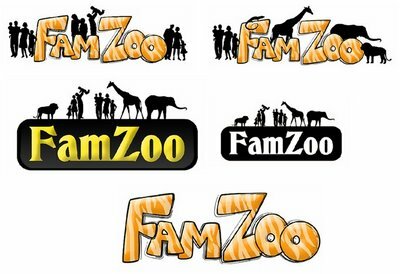 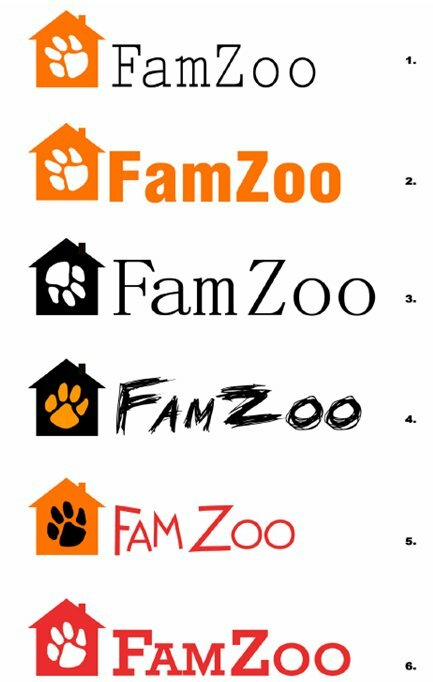 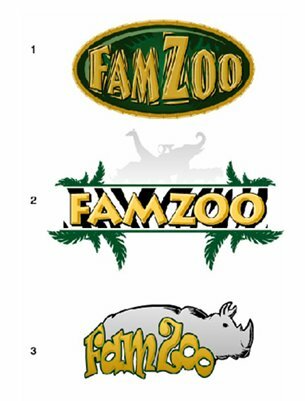 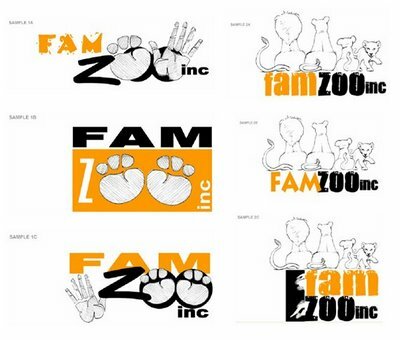 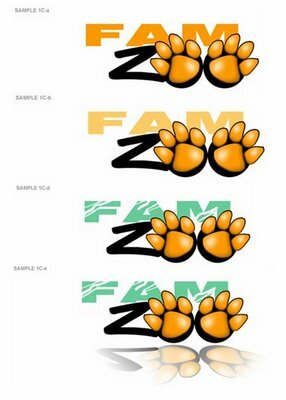 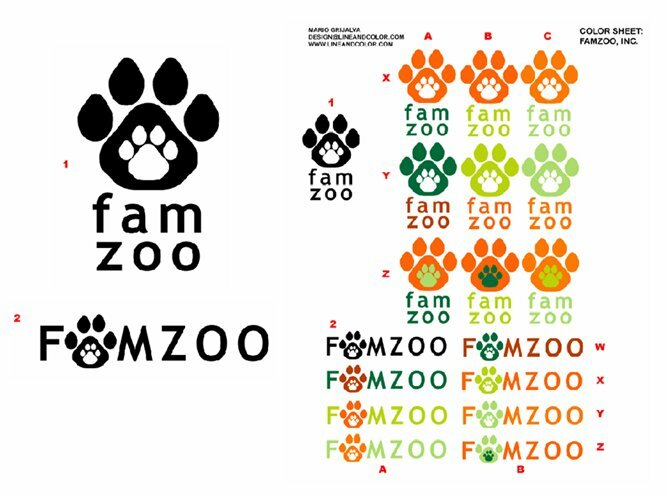 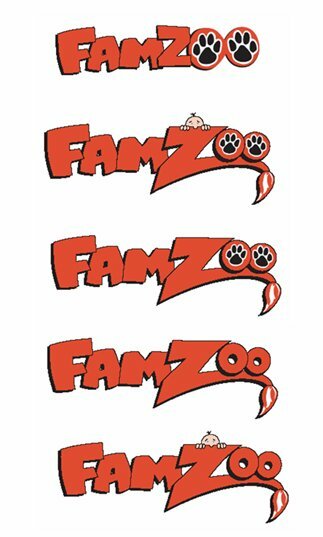 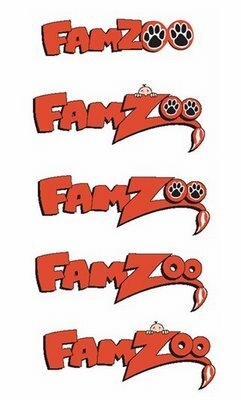 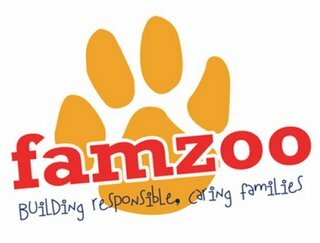 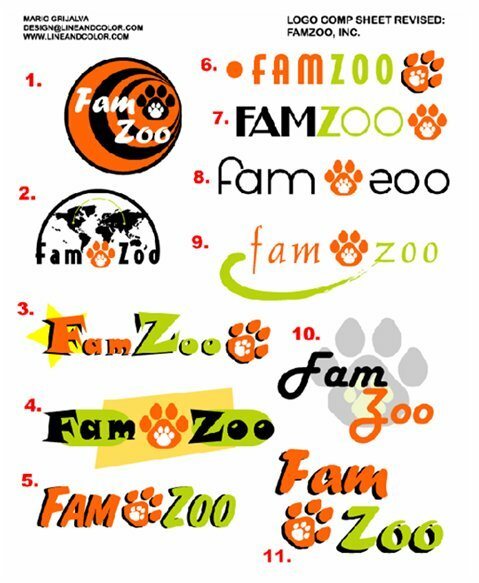 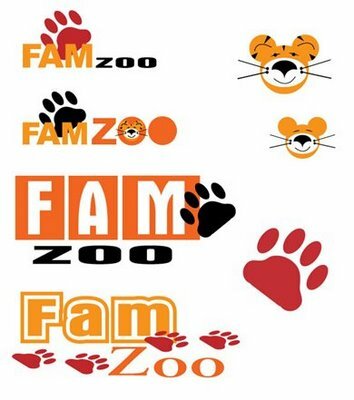 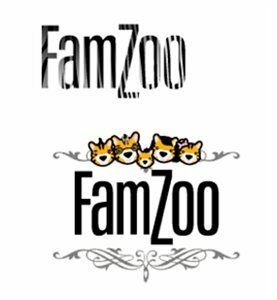 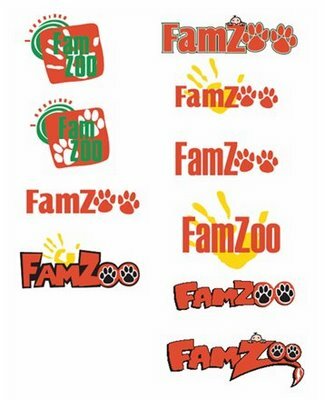 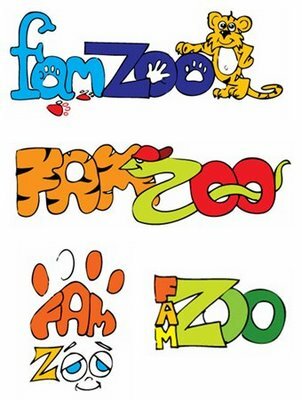 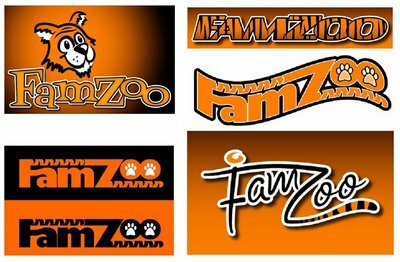 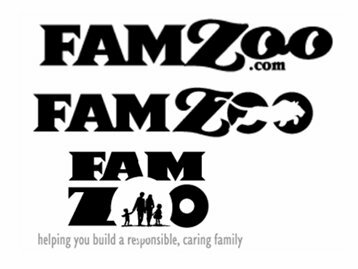 I prefer the paw print to be heading toward the "FamZoo" and not away since I prefer to send the subliminal message that users will want to flock to FamZoo rather than flee from it! 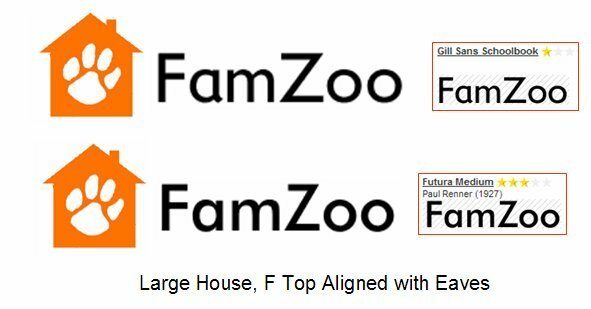 Font choice: For the font, I am looking for a combination of "responsible" (sturdy, symmetrical, clean) plus "child friendly" (somewhat rounded with a handwritten style lowercase "a" - the way kids learn to write in school) plus "modern" (since FamZoo leverages Internet technology). 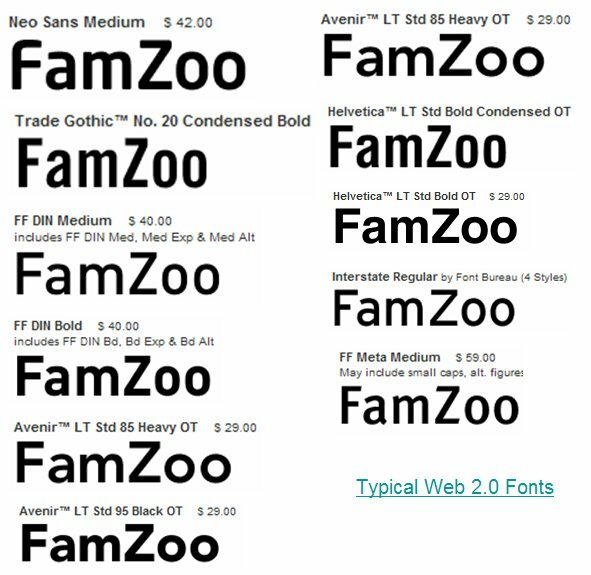 After browsing fonts for a couple of hours on the FontShop Web site (more about this site below), I settled on "Futura Medium". 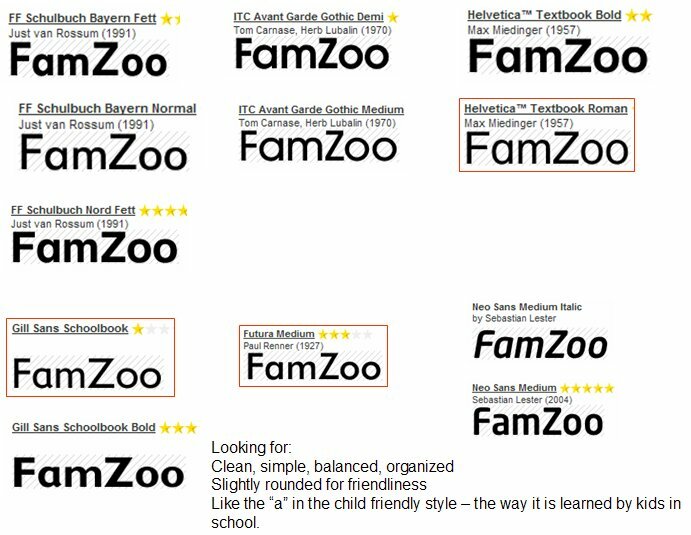 I also considered "Gill Sans Schoolbook", but ultimately decided that the flaired tail on the "a" gave it a weaker feel. 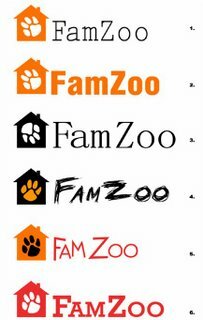 I'm very open to other recommendations, but I feel this one does a pretty nice job of covering the three themes. 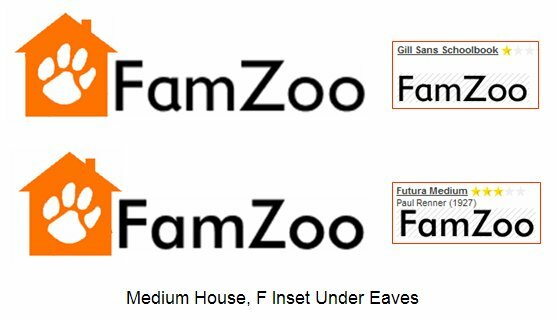 I suspect it is weakest on the "modern" theme since the only particularly modern thing about it is probably its name. I like "Neo Sans Medium" as a more modern font, but it does not have the handwritten "a" style that I prefer. 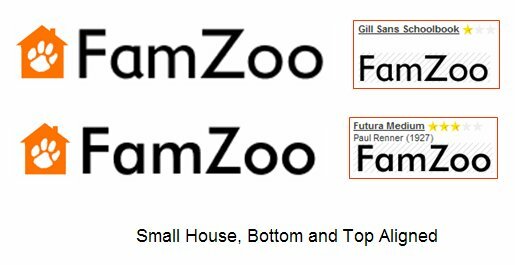 Icon size and placement: I experimented with a number of different options for the size and placement of the icon relative to the text (see bottom of post). 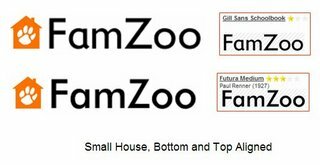 I like having the icon and the text aligned horizontally instead of stacked vertically. 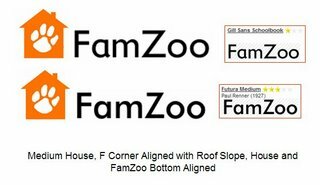 I like the choice aesthetically, but it is also more economical from a vertical real estate standpoint which has practical benefits when it comes to Web page layout design down the road. 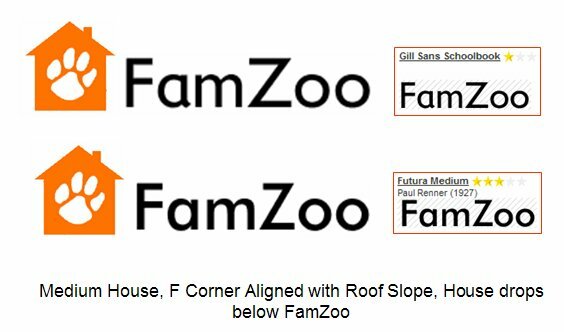 I like having the icon larger than the text - seems like a bolder statement. 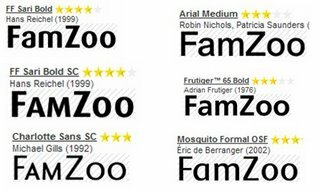 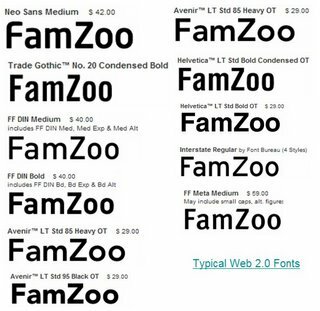 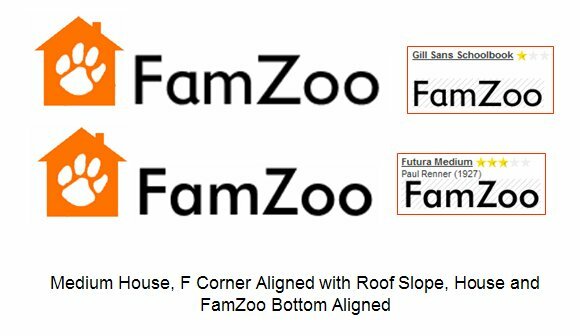 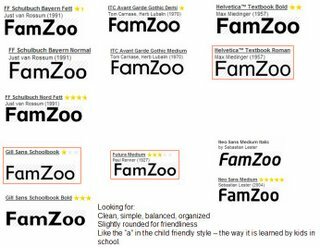 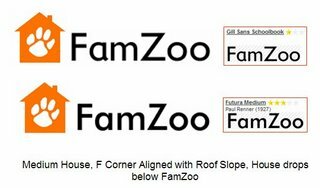 As for the detailed alignment between the icon and the text, I ultimately chose to have the "F" in FamZoo evenly inset within the eaves, the side, and the bottom of the house. 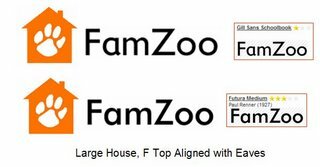 This frames the "F", gives the "F" a subtle sense of depth, and creates a nice integration between the icon and the text.